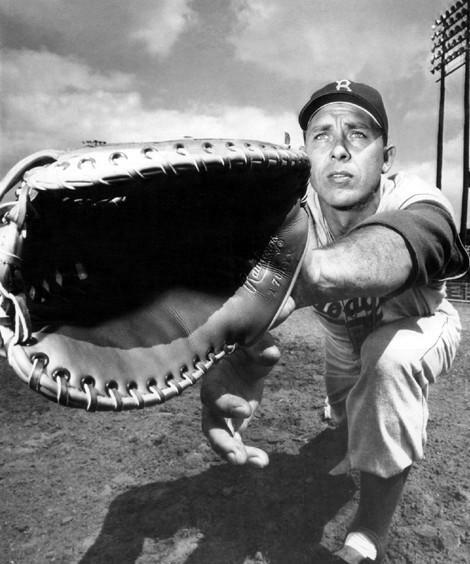 ABC Sports ranks Dodger owner Walter O’Malley as the 8th most influential sports figure of the 20th century; The Sporting News ranks him 11th. Revered by many and vilified by some, Walter O’Malley was one of the most influential owners in the history of Major League Baseball. Shown here is a check drawn on the Los Angeles Dodgers account made out December 15, 1958 to the Roman Catholic Archbishop of Los Angeles. 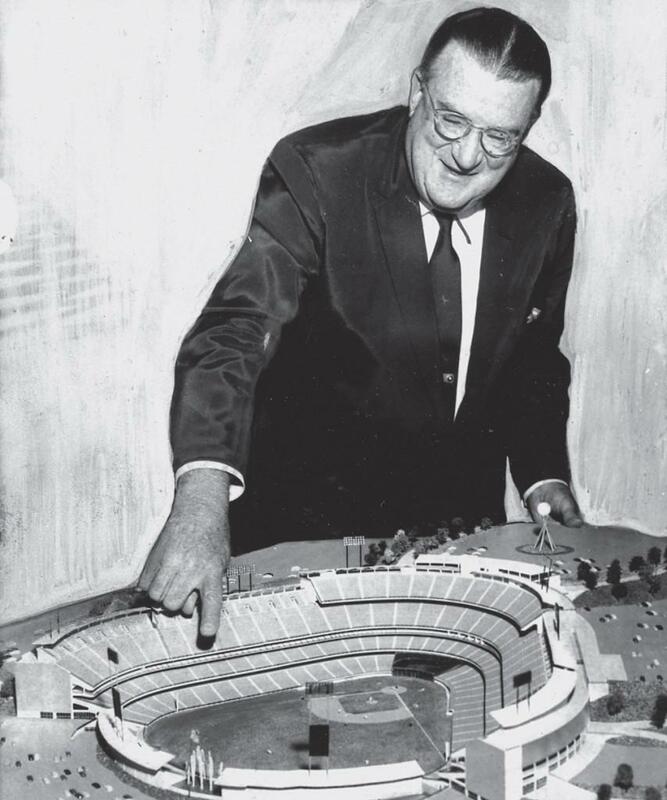 O’Malley moved the Dodgers from Brooklyn to Los Angeles in 1958 and held the title of Chairman until his death in 1979. With two days left on the 1956 regular-season baseball calendar, the Dodgers were a half game in back of the Milwaukee Braves. Brooklyn then swept the Pirates in a double header on September 29 while the Braves lost to the Cardinals to put the Dodgers a game up with one day to go. 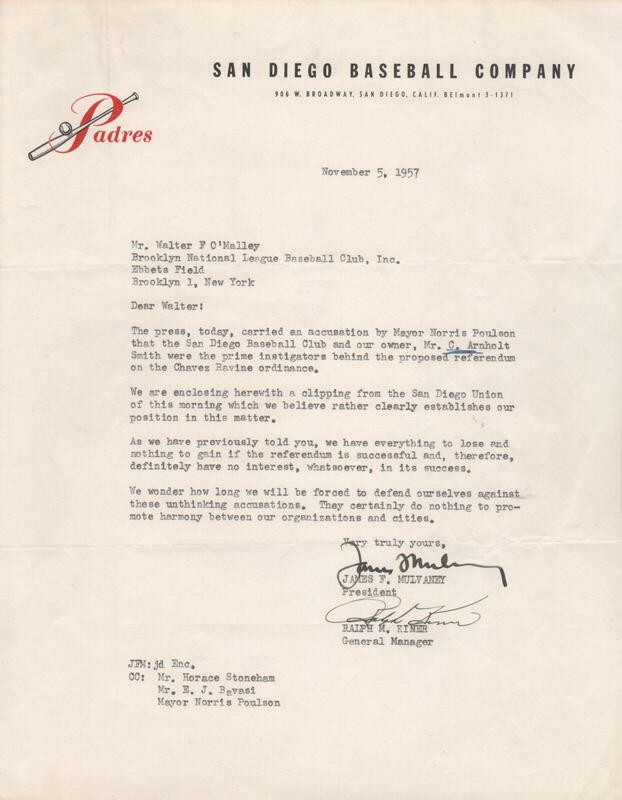 Needing a win to control their destiny and propel the team to the World Series the team gave the ball to Don Newcombe to bring home the pennant. 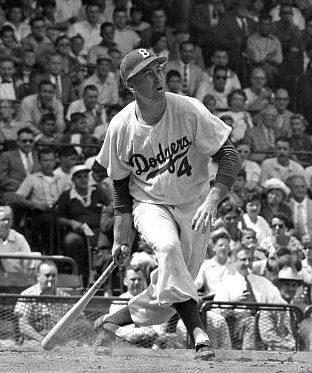 Newk did what he did best in 1956 and the Dodgers were National League champs. Shown here is a telegram dated October 1, 1956 sent from Yankee owner Dan Topping to Dodger owner Walter O’Malley. “Congratulations. 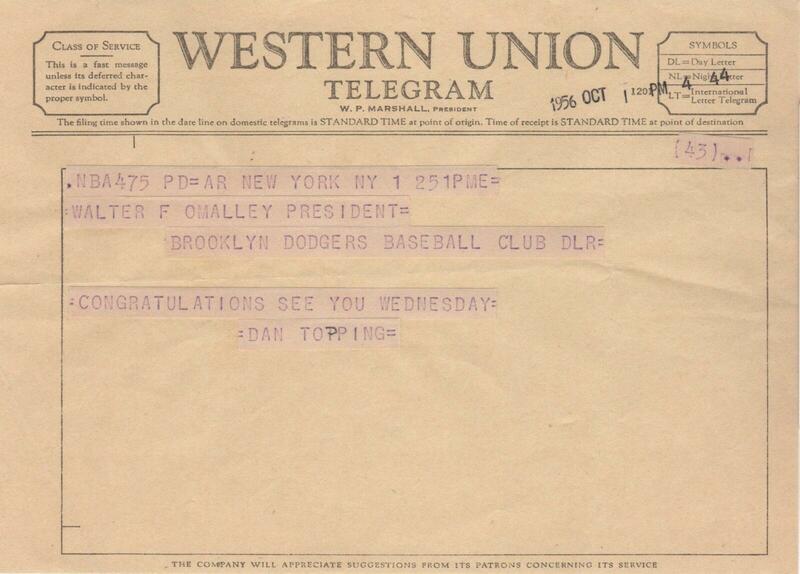 See you Wednesday” the telegram says alluding to the World Series. The Dodgers would go on to win Game 1 and 2 before the Yankees came rolling back to win the Series 4-3. 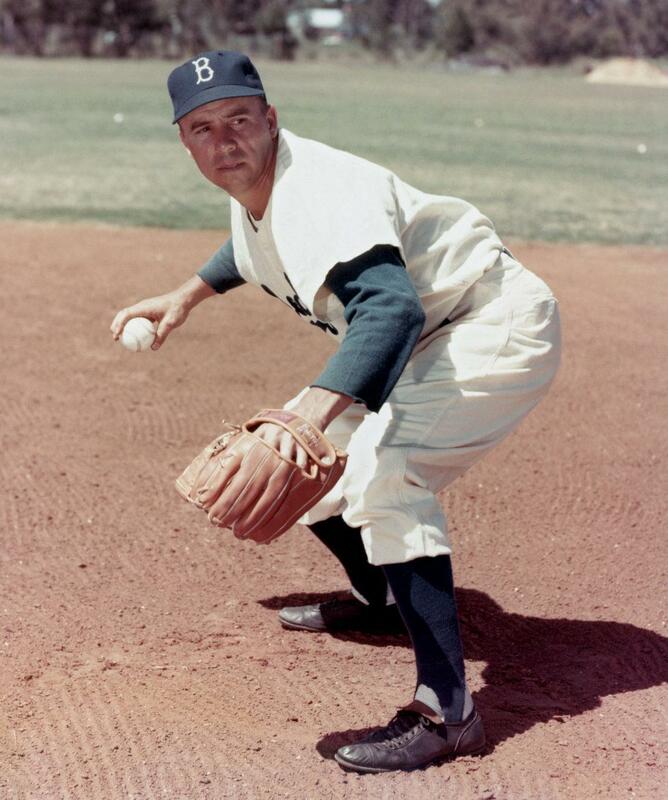 As general manager of the Dodgers from 1950-1968, Buzzie Bavasi saw Walter O’Malley’s ownership of the Dodgers from a unique perspective. 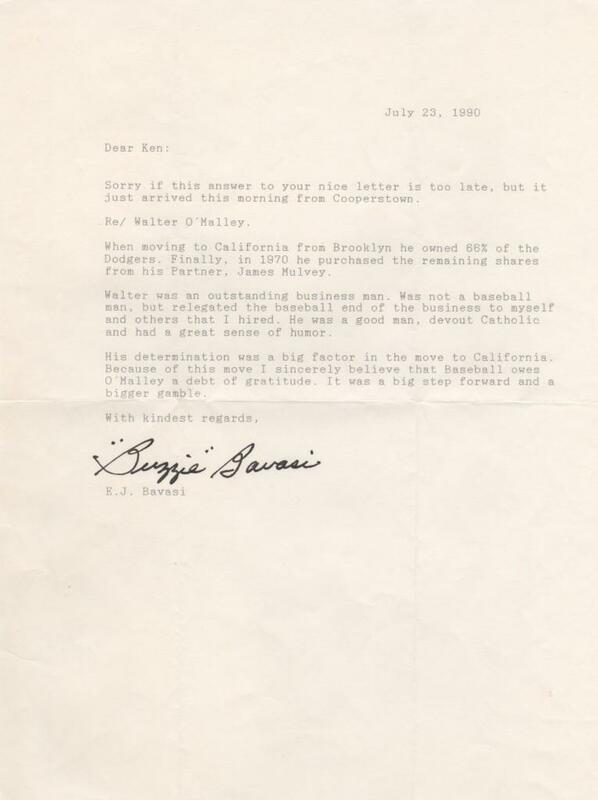 In this letter dated July 23, 1990 Bavasi gives his opinion on O’Malley, writing in part, “His determination was a big factor in the move to California. Because of this move I sincerely believe that Baseball owes O’Malley a debt of gratitude. It was a big step forward and a bigger gamble.” Bavasi, a candidate for Cooperstown himself then signs the bottom of the page. Walter O’Malley turned over the presidency of the Dodgers to his son Peter on St. Patrick’s Day, 1970. 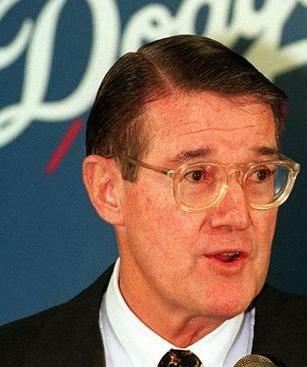 Under Peter O’Malley’s stewardship the team won World Series championships in 1981 and 1988 and was a box office hit. The franchise was the first to draw three million fans and have reached that mark more than all other franchises combined. In the collection is a ticket stub from the final game of O’Malley ownership of the Dodgers. Dated Sunday September 27, 1998, the ticket is signed by Peter O’Malley. 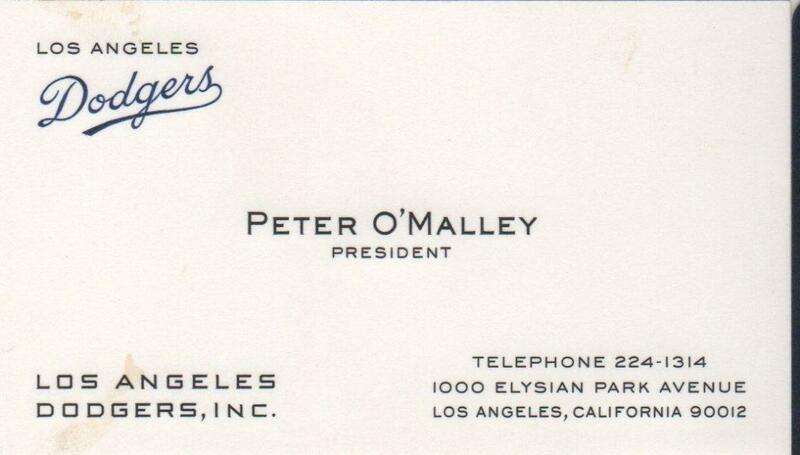 Under the leadership of Peter O’Malley the Dodgers remained a first-division club. 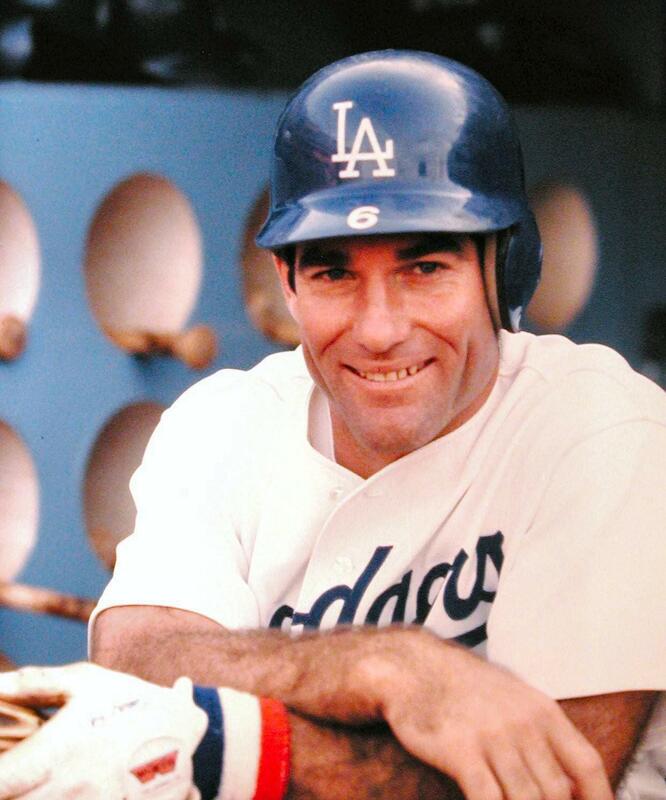 From 1979 when he assumed the Dodger presidency until 1998 when he sold the franchise, the Dodgers finished first six times and won the World Series twice. 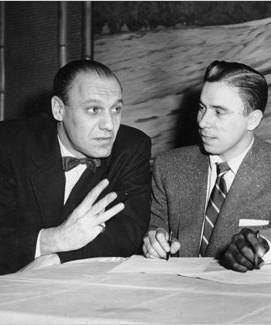 Peter O’Malley was also at the forefront of the expansion of baseball globally, helping introduce the sport to the Olympics and signing players from Asia when the practice was still in its infancy. 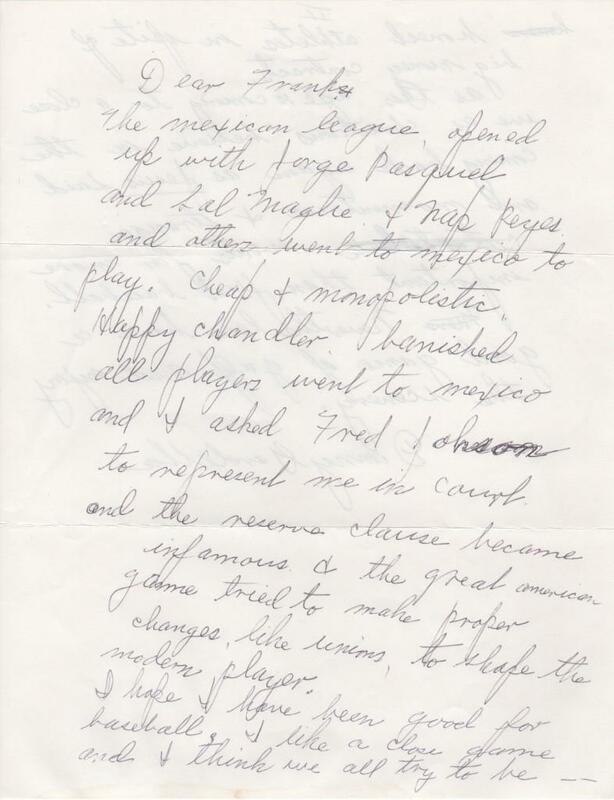 In 1946, Major League players Danny Gardella, Sal Maglie, Alex Carrasquel, Max Lanier, and Mickey Owen accepted $10,000 each to play in the Mexican League. 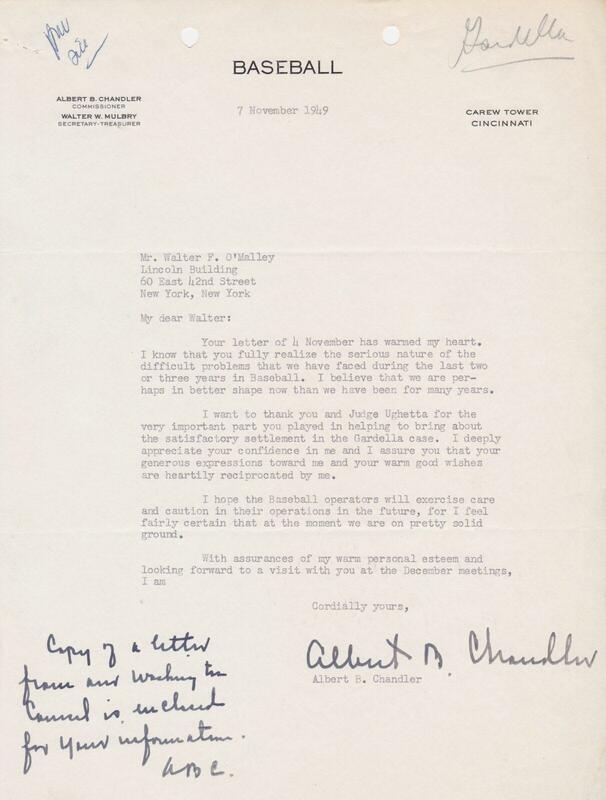 In response Commissioner Happy Chandler banned them for five years on grounds that they violated baseball’s reserve clause. 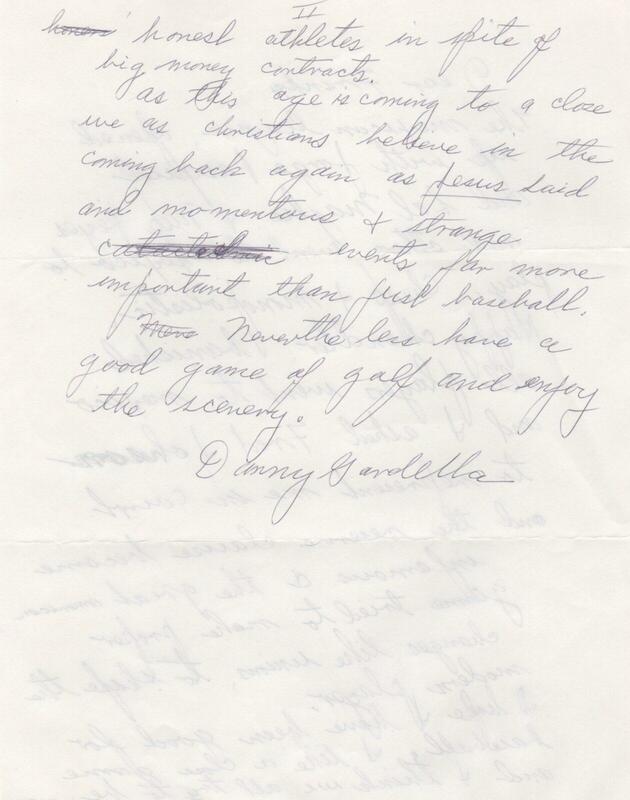 Gardella sued Major League Baseball and the New York Giants charging that the reserve clause was invalid. By 1949 the case was still mired in the courts when Chadlner offered amnesty to Gardella as well as a rumored settlement of $60,000. Late in the year, Gardella dropped his lawsuit. A reflective Danny Gardella continues, “I hope I have been good for baseball…” One of the earliest players to train with weights, Gadella was also known for his ability to walk on his hands and perform acrobatic stunts. In three Major League seasons, Gardella played 169 games and hit .267 with 24 homers and 85 runs batted in.